The largest public gallery in Durham region, the RMG occupies an inspired 40,000 square foot building designed by world-renowned architect Arthur Erickson. 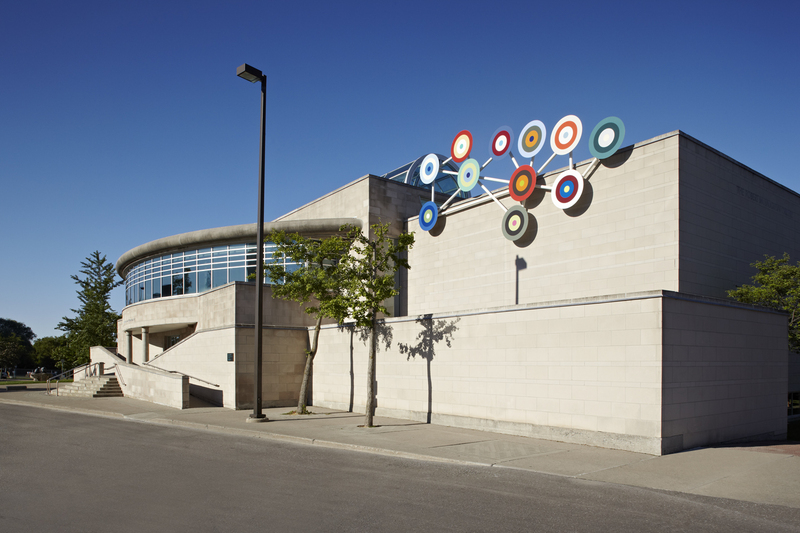 Featuring a Permanent Collection of over 4000 works of art, four galleries of diverse & changing exhibitions, the RMG also hosts vibrant community and education programs. The RMG’s gallery shop stocked with unique gifts sourced from the best local artisans, books, art-inspired products and more. In addition, the RMG has an art library, and two art & education studios, and space for venue rentals. The RMG is located in downtown Oshawa beside the main library and City Hall. The RMG is open seven days a week. Parking is available on site, and is free after six and on weekends. The RMG is free to visit. A suggested donation of five dollars can be made at our reception desk. Your donation helps support programs and services. of every month for RMG Fridays.